While this is the month of love, we hope you'll find these romantic restaurant suggestions helpful for anytime of year. Romance is alive and well in Napa Valley. From the way that the sun sets behind the vines, the delicious taste of our bold reds to the comfortable luxury of our hotel rooms. Escape to wine country anytime of year to enjoy the best in romance and relaxation. When you are desiring a bite to eat, tuck into these intimate restaurants. Angele Restaurant is a French country eatery and bar offering refined bistro fare, wine and cocktails on the Napa riverfront in the heart of downtown Napa. 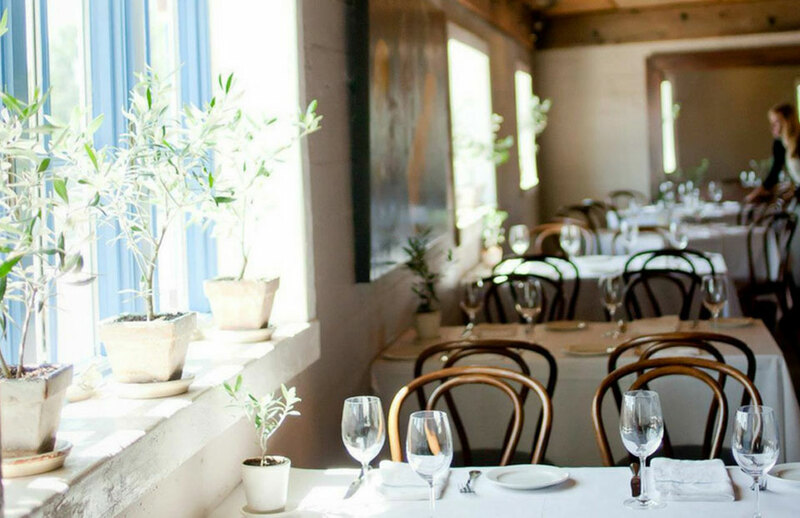 Their dining room, located in the historic 1890's ship chandlery now known as the Hatt Building, evokes the simple romance of the classic French brasserie, while their riverfront patio embraces wine country's temperate climate and relaxed atmosphere. This is a little hidden gem right smack in the middle of downtown Napa. Located on the river, the restaurant has a minimalist yet elegant aesthetic. Even when full of other diners, the acoustics are good and the view out of the windows is lovely. The waitstaff is knowledgeable and will guide you through the menu and wine list which has a breadth and depth that celebrates the best seasonal ingredients. Start with one of the daily specials, a salted codfish fritter served with a pea tendrils and a lovely tart red berry reduction. Follow it with their Little Gem Salad as a perfect palate cleanser. Stand-out entrees include the Sonoma Duck Breast Guancale Roulade with Forbidden Rice and the Rabbit Meatball Ragout. You might want to pass on dessert until you see the apple strudel with the port pairing. A perfect evening dinner along the Napa River front. Explore their menus here. handlery now known as the Hatt Building, evokes the simple romance of the classic French brasserie, while their riverfront patio embraces wine country's temperate climate and relaxed atmosphere. This is a little hidden gem right smack in the middle of downtown Napa. Located on the river, the restaurant has a minimalist yet elegant aesthetic. Even when full of other diners, the acoustics are good and the view out of the windows is lovely. The waitstaff is knowledgeable and will guide you through the menu and wine list which has a breadth and depth that celebrates the best seasonal ingredients. Start with one of the daily specials, a salted codfish fritter served with a pea tendrils and a lovely tart red berry reduction. Follow it with their Little Gem Salad as a perfect palate cleanser. Stand-out entrees include the Sonoma Duck Breast Guancale Roulade with Forbidden Rice and the Rabbit Meatball Ragout. You might want to pass on dessert until you see the apple strudel with the port pairing. A perfect evening dinner along the Napa River front. Explore their menus here. From their gardens to their kitchen, Bistro Don Giovanni presents fresh interpretations of traditional Italian dishes using sustainably-farmed, local fruits and vegetables, and all organic meats. Inspiration from the bounty of local farms and their own restaurant garden help create a daily changing menu that has kept Bistro Don Giovanni on the San Francisco Chronicle's top Bay Area restaurants since the list's inception. Their lively bar features hundreds of Napa Valley and Italian wines, as well as seasonally inspired cocktails. Today's bar is an extension of the dining experience with cocktails that include aromatic herbs, sweet and tart fruits, exotic liquors and the highest quality gins, vodkas, tequilas, scotch, bourbons. Conveniently located within walking distance of SENZA, this is a beautiful stop to take in the splendid views of Napa Valley. Weather permitting we suggest booking a table on their expansive patio that offers 180 degree views of the vineyards. From the carpets of yellow mustard in the spring to the riotous colors of the changing vines in the fall, it's a beautiful backdrop for dinner. Explore their menus here. In October 1998, four years after his successful debut in Napa Valley with The French Laundry, Chef Thomas Keller introduced Bouchon, offering authentic French bistro fare with Keller's unfailing attention to detail in both ingredients and presentation. 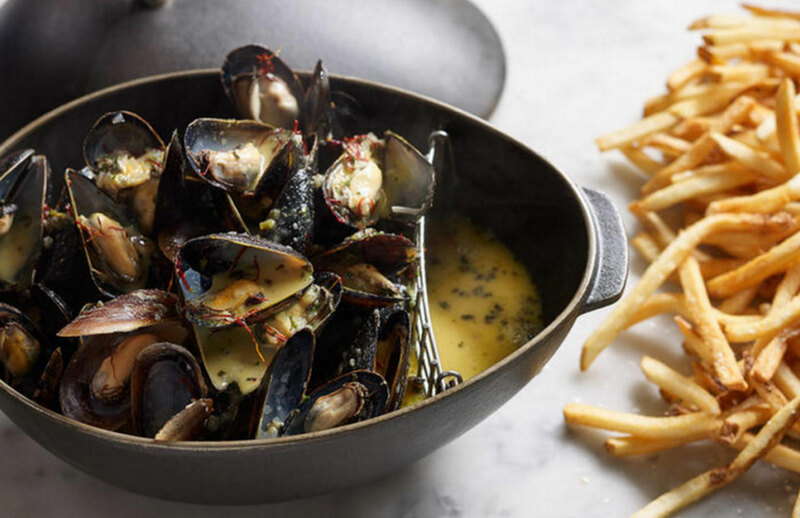 Bouchon's seasonal menu and raw bar selections change throughout the year, while staples like roast chicken, leg of lamb, and trout amandine remain as consistent, year-round favorites. The Vin en Carafe program at Bouchon features selections made exclusively for the restaurant from top wineries in Napa Valley and France. Keller enlisted renowned designer Adam D. Tihany to create Bouchon's interior featuring a French zinc bar, a vibrant mosaic floor, antique light fixtures, and an expansive mural, hand painted by French artist Paulin Paris. The perfect place to experience the best in Napa Valley dining while enjoying the upscale tastes of French cuisine. Heated patio dining is available enclosed in well manicured boxwoods. A beautiful spot to plan a celebratory birthday, anniversary or proposal dinner. Explore their menus here. The Restaurant at Auberge du Soleil offers a fine dining experience from one of the best vantage points in the valley. With 11 consecutive Michelin Stars, Executive Chef Robert Curry's Mediterranean-inspired cuisine reflects the natural diversity and rich seasonal produce available in the Napa Valley. Ingredients are sourced largely from local and regional purveyors and featured on inspiring menus complemented by one of most extensive wine cellars in the valley, boasting more than 15,000 bottles of domestic and international wines hand-selected by their Director of Wine. 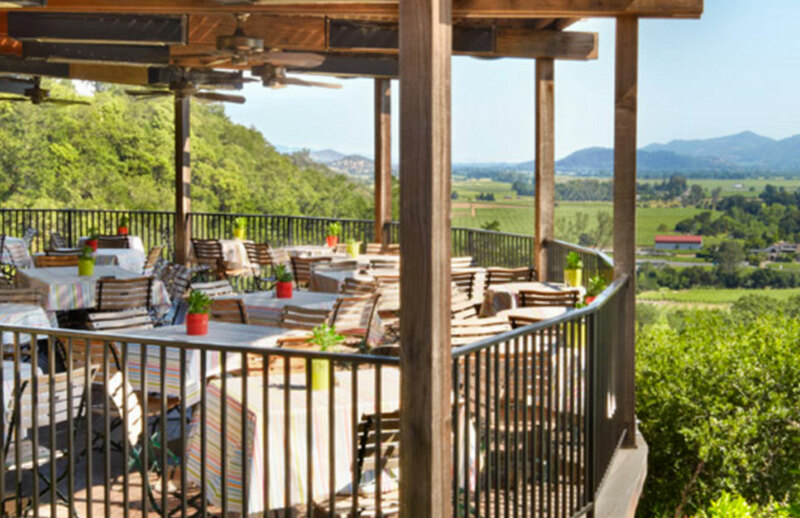 Plan on taking advantage of the incredible views of Napa Valley, from this restaurant perched in the hills. Book a lunch date on the patio or a dinner reservation at sunset for an unforgettable meal. Explore their menus here. 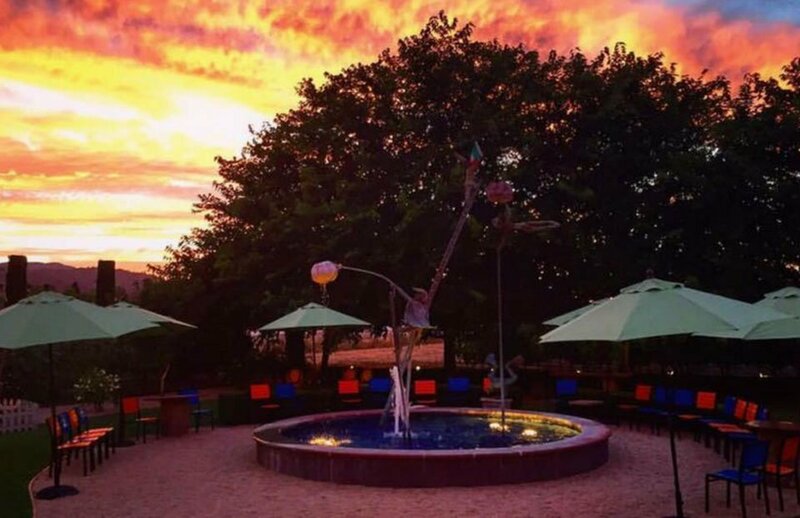 At SENZA Hotel, we aim to rejuvenate, relax and connect you to local dining, wineries and more. Contact us today and visit the Napa Valley of your dreams! For Rooms at SENZA Hotel please visit us here.